The NS510T-FE2 is a high quality tremolo from Gotoh's flagship 510 range that has vintage Fender spaced pivot screws (2 7/32") with their vintage narrow (which became Fender American and Mexican standard) string spacing (2 1/16"), giving you the feel of the six screw pivot system with modern upgrades. 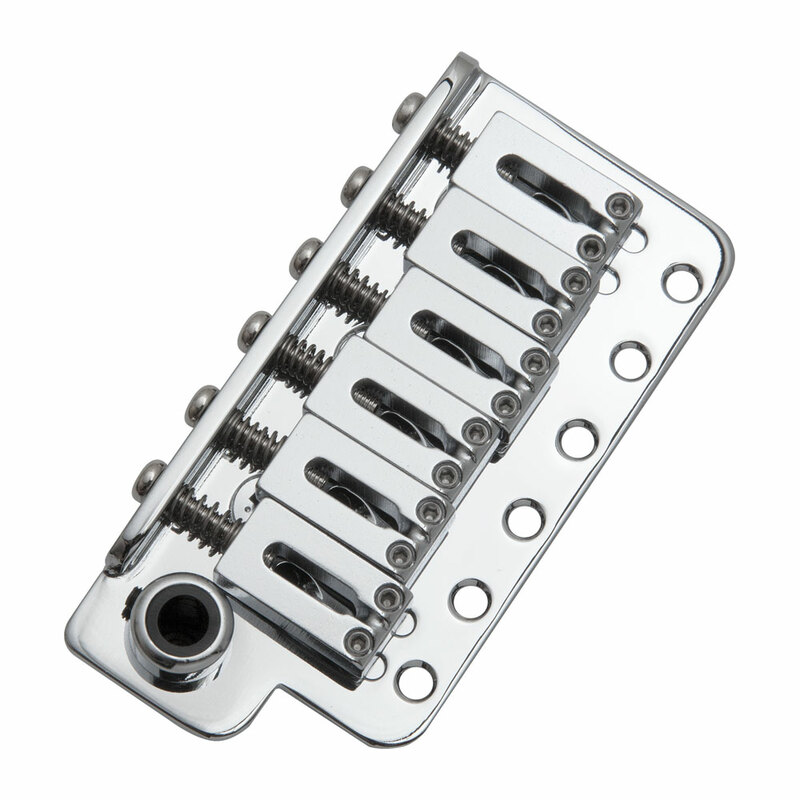 This bridge features steel saddles for clarity and response with a brighter tone than brass, their block design is comfortable on the hand while playing. The bridge plate is made from extremely resilient chromium molybdenum steel finished with heat treatment to ensure strong and hardwearing knife edges. There are milled slots in the bridge plate that the height adjusting screws for both outer e strings fit in to, which stops sideways movement of any of the saddles. The tension holding the tremolo arm can be adjusted via a set screw in the bridge.